Mayor Ron Corbett of Cedar Rapids: Tell Sister City, Andong, South Korea, That We’re Opposed to the Torture and Consumption of Dogs and Cats. Andong became Sister city with Cedar Rapids in 2005. In Andong, there are countless dog farms, slaughterhouses, markets and restaurants where the dogs, who are tortured their entire lives, end up being slaughtered in the most inhumane ways, such as by electrocution, hanging or beating; and then thrown into boiling water – sometimes while they are still alive. In many places, dogs are being killed in full view of other terrified, caged dogs; and this takes place in public and in broad daylight. In addition, many abandoned and stolen former pets end up in this industry, and are subjected to the same cruelty. 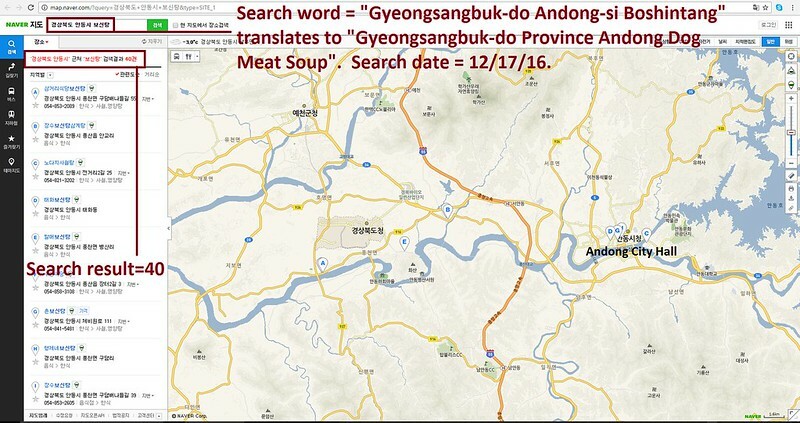 The searches resulted in: 191 Health Food Centers; and 40 restaurants in and around Andong. 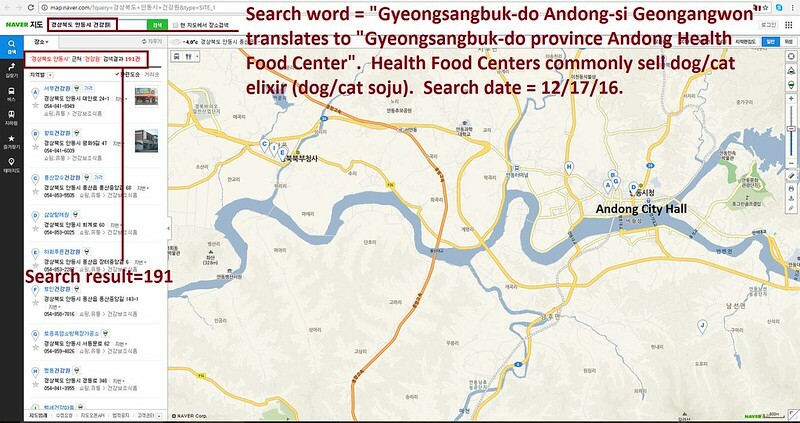 Even if half of these ‘Health’ Food Centers and restaurants serve dog and cat ‘ingredients’ in one form or another, just imagine how many dog/cat slaughterhouses must be present in and around Andong in order to supply all of these outlets. the Cedar Rapids Mayor TODAY! Hello, I’m calling to speak to someone in the Mayor’s Office to ask for their help on an important issue regarding your sister city, Andong in South Korea. So, I am asking you to please speak with your counterparts in Andong to urge them to enforce their own laws, not ignore them, and to show compassion to their companion animals, and also respect to their own citizens, by bringing these trades to an end. No matter where you live PLEASE SHARE these actions with your friends – especially those who live in Cedar Rapids! SIR,Do you really want to accosiate with a sister city in Korea,that shows Barbaric Cruelty and Consumes Dogs and Cats and Totally Ignore the Rest of the Worlds Pleas ??? Susan Tucker I said exactly the same,I would not want a sister city with a barbaric attitude to poor animals. This absolutely breaks my heart. Something like this is so WRONG. PLEASE MAKE IT STOP! Nothing in my whole life bothers me as much as this. Please STOP this horrific,evil,barbaric,heartless,sickening torture of these innocent dogs & cats !!!!!!!!!!!!!!!!! I will never support a country full of monsters nor will I support any country that has connections to a country full of EVIL,HEARTLESS monsters!!!!!!!!!!!!!!!!!!!!!!! This must STOP !!!!!!!!!!!! We the world are watching & we are NOT going away!!!!!!!!!!!!!!!!!!!!!!!!!!!!!!!!!!! Please Sir,can you tell me, do you have a dog or cat at your home,that is considered part of the family?????????????????? Billions of us DO!!!!!!!!!!!!!!!!!!! Culture & tradition are NO excuse to force animals to SUFFER to satisfy the appetites of these monsters!!!!!!!!!!!!!!!!! 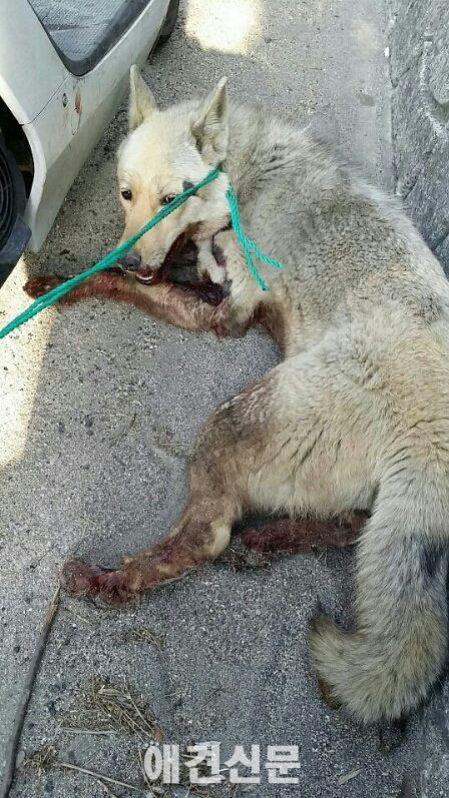 These innocent & beautiful dogs & cats meet a gruesome fate!!! They are brutally slaughtered,beaten,hung,electrocuted,throats slit as they lie there slowly bleeding to death & suffering & any other cruel method that can be thought of.These dogs & cats have their ear drums blown out & their vocal cords cut so they can not bark for help on the meat farms while they wait for their gruesome end!!!!!!!!!!!!!!!!!!!! Please be their voices for they have none!!!!!!!!!!!!!! All beings created by God deserve respect & dignity. God did NOT create cruelty………………………………….. MANKIND did!!!!!!!!!!!!!!!!!!!!!!!!!!!!!!! It’s hard to imagine the evil, sadistic, barbaric cruelty to helpless, intelligent animals. The world views South Korea with complete disgust!!!! They are now hiding animal torture from public view!!!! Google tried to deliver your message, but it was rejected by the server for the recipient domain cedar-rapids.org by mail.cedar-rapids.org. [65.156.255.194]. If anyone has any suggestions please let me know. I want to reach out to the people of Iowa in an effort to convenience them to not have anything to do with the company that treats animals this way.